Kids are about to go back to school, and so are the teachers. And this year is a close friend's first year as a teacher. She is going to do so great at her job, I just know it. And when she asked if I would make curtains for her classroom I was so excited to be able to add something that would contribute to her day to day life. 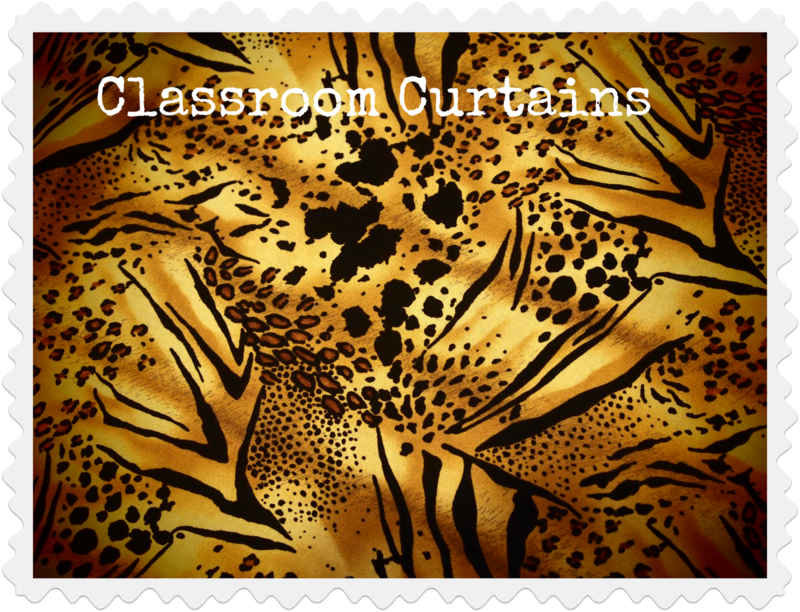 Her theme for her classroom is a jungle theme. It is so cute, and fun. I would have loved to have her classroom when I was little. And really there isn't a lot to know when making these curtains. I measured the distance from one end of the window to the next. I then multiplied that number by 2.5. And that's the amount of fabric that I used for each curtain. That probably didn't make any sense. Sorry! 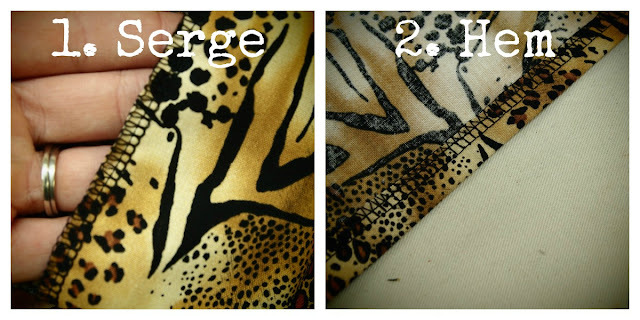 I then serged all the edges, and then continued to hem each edge. 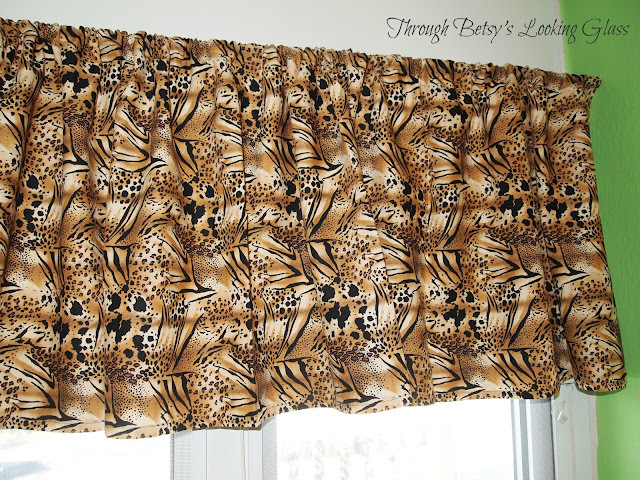 The top edge I folded down so that there was enough room to hold the curtain rod. 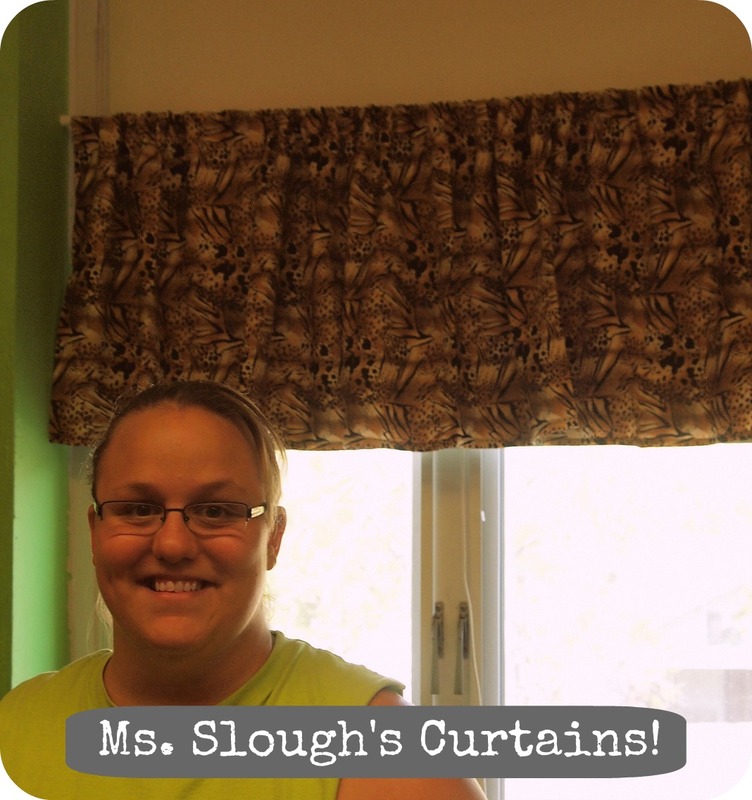 Thanks Ms. Slough for letting me make the curtains for you! 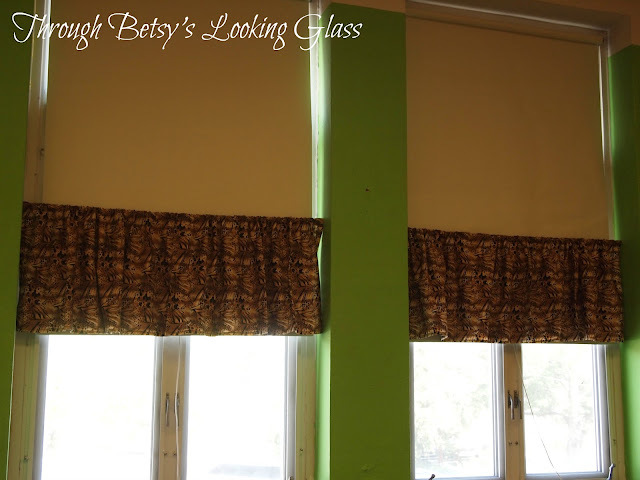 Happy Sewing and thanks for stopping by "Through Betsy's Looking Glass". This page was shared with The Gunny Sack, Family Ever After, Adorned from Above, and Thrifty 101. She did a great job making her room really fun for the kids. Oh to know how to sew... :) So great that you were able to do this for the classroom! Great job! Sewing has been such a great hobby, and help in my life! Thanks for stopping by Stephanie. Debi I didn't mean to delete your comment sorry. Thank u though.